The information on this website is provided as a convenience to users ofthis site and without warranty of any kind, either express or implied. 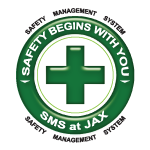 Thedata is provided to the Jacksonville Aviation Authority by the airlines. Theaccuracy and completeness of the data is therefore the responsibility of thoseorganizations providing the data. 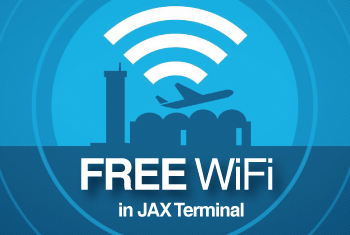 In no event shall the Jacksonville AviationAuthority be liable for any damages (whether direct, indirect, punitive,incidental, special, consequential, or otherwise) arising out of, or in any wayconnected with, the use of this information. Please contact the airlinesdirectly for any further information relating to a specific flight. This website has been translated for your convenience using a machine translation software powered by an Online Translation Engine. Reasonable efforts have been made to provide an accurate translation, however, no automated translation is perfect nor is it intended to replace human translators. Este sitio Web fue traducido para su conveniencia por un software de traduccion automatica desarrollado por Online Internet Translation. Esfuerzos considerables fueron hechos para proporcionar una traduccion precisa, sin embargo, ninguna traduccion automatica es perfecta ni fue creada para substituir traductores humanos. El texto oficial es la version en Ingles del sitio Web. Cualquier discrepancia o desigualdad creadas en la traduccion no son ligadas y no tienen efectos legales para los propositos de aplicacion y conformidad. Si tienen alguna pregunta relacionada a la precision de la informacion contenida en este sitio Web, por favor refierase a la version en Ingles de este sitio Web, la cual es la version oficial. We firmly believe that the internet should be available and accessible to anyone and are committed to providing a website that is accessible to the widest possible audience, regardless of circumstance and ability. To fulfill this promise, we aim to adhere as closely as possible to the Web Content Accessibility Guidelines 2.1 (WCAG 2.1) at the AA level, published by the World Wide Web Consortium (W3C). These guidelines explain how to make web content more accessible to people with a wide array of disabilities. Complying with those guidelines helps us provide a site that is accessible to all people, from the blind to the motor impaired. This website utilizes various technologies all meant to make it more accessible. We utilize an interface that allows persons with specific disabilities to adjust the website’s UI (user interface) and design it to their personal needs. This interface replaces the older fashioned method of providing all users with the same, lesser but accessible design or user interface. 1.Font handling - users can increase and decrease its size, change its family (type), adjust spacing, alignment, line height, and more. 2.Color handling - users can select various color contrast profiles such as light, dark, inverted and monochrome. Additionally, users can swap color schemes of titles, texts, and backgrounds, with over 7 different coloring options. 3.Animations – epileptic users can stop all running animations in an instant, at the click of a button. Those animations include videos, GIFs and CSS flashing transitions. 4.Content highlighting – users can choose to emphasize important elements such as links and titles. They can also choose to highlight focused or hovered elements specifically. 5.Audio muting – users with hearing devices may experience headaches or other issues due to automatic audio playing. This option lets users mute theentire website instantly. 6.Cognitive disorders – we utilize a search engine that is linked to Wikipedia and Wiktionary, allowing people with cognitive disorders to decipher meanings of phrases, initials, slang, and others. 7.Other options – cursor handling, printing mode and, much more. Additionally, the website utilizes an AI-based application that runs in the background and optimizes its accessibility level every 24 hours. This AI engine remediates the website’s HTML issues, as well as functionality and behavior, to the use of blind people that are using screen readers, and the motor impaired that are using the keyboard to operate the website. 1.Screen-reader optimization: The AI runs in the background and learns the website’s components top to bottom, thereby providing screen-readers with meaningful data using the ARIA set of attributes. For example, it will provide accurate form labels; descriptions for actionable icons (social media icons, search icons, cart icons, etc. ); validation guidance for form inputs; element roles such as buttons, menus, model dialogues (popups), and others. Additionally, this AI scans all website images and provides an accurate and meaningful image-object-recognition-based description as an ALT (alternate text) tag. It will also extract texts that are embedded within the image, using an OCR (optical character recognition) technology. To turn on screen-reader adjustments at any time, click the Alt 1 keyboard combination. Screen-reader users will also get an automatic announcement to turn on those adjustments as soon as they enter the website and accessibility is ready to deploy. 2.Keyboard navigation optimization: The AI adjusts the website’s HTML, as well as adding various behaviors using a JS code to make the website fully operable by a keyboard. This includes the ability to navigate the entire site using the TAB and SHIFT TAB keys, operate dropdowns with the arrow keys, close them with ESC, trigger buttons and links using the Enter key, navigate between radio and checkbox elements using the arrow keys, fill them in with the Spacebar or Enter key, and more. Additionally, keyboard users will find quick-navigation and content-skip menus (available at any time by clicking Alt 1). The AI will also handle triggered popups by moving the keyboard focus towards them as soon as they appear, and It’ll not let the focus drift outside of it, for best orientation. We aim to support the widest array of browsers and assistive technologies as possible, so our users can choose the best fitting tools for them, with as few limitations as possible. Therefore, we have worked very hard to be able to support all the modern, major and popular systems that comprise over 95% of the users’ market share and include: Google Chrome, Mozilla Firefox, Apple Safari, Opera, Microsoft Edge and I.E 11 or above, JAWS and NVDA (screen readers), both for Windows and for MAC users. This website is operable using other systems and platforms as well, though we are not officially supporting them and recommend users to utilize the aforementioned. Despite our very best efforts to allow anybody to adjust the website to their needs, it is possible that there will still be pages or sections that are not fully accessible, are in the process of becoming accessible, or are lacking an adequate technological solution to make them accessible. Still, we are constantly improving the accessibility interface, adding, updating and improving its options and features, and developing and adopting new technologies. All this is meant to reach the optimal level of accessibility, at any time and in accordance with technological advancements.